Being Popular, Having Lots of Money, Honesty, Trustworthiness. 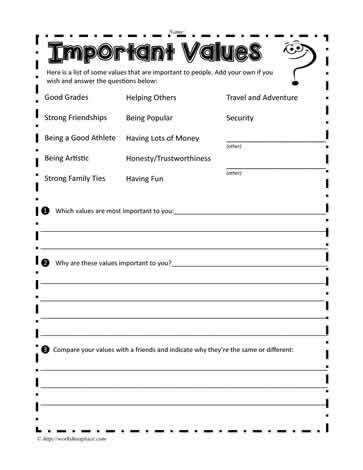 Determine what values are important to you and why. Compare your values to the values from another student.